London is a letterbox in a classic form, which offers everything that you need. 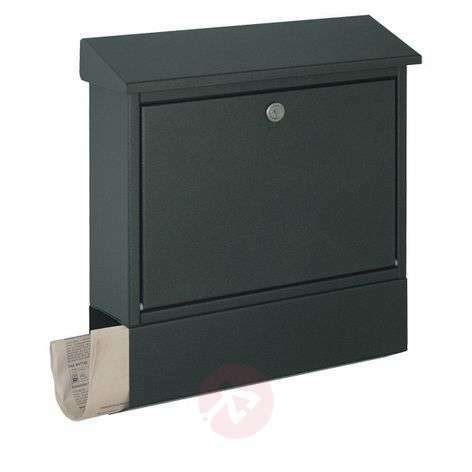 It has an integrated newspaper compartment, which is open on both sides and a locking letter slot in which envelopes up to the size C4 can be inserted crossways. The delivery includes a self-adhesive nameplate made of aluminium.